Qualities of Versatility, Innovation and Capabilities have blended and formed BENCHMARK GROUP, which has motivation, dedication, infrastructure & human resources to very adequately and satisfactorily to provide customers with highly professionalized freight forwarding & LCL Cargo Consolidation Services for both GENERAL & HAZ Cargo and Project cargo solutions in line with major International Forwarding companies, NVO Chains, Groupage Services and Project / Break Bulk cargo operators. BENCHMARK has the promise, dynamism, and team spirit appropriately blended with professional skill, personalized attention, positive approach and dedication to deliver results under any demanding circumstances. Our commitment in quality service and technology by concentrate in all our considerable resources in “bringing peace of mind” to our clients for their transportation needs. The Management team along with key personnel are persevering professionals with the ability to nurture, cultivate and guide the BENCHMARK with confidence, vigor and zeal comprising self-motivated professionals with state of art communication and computer systems applying modern marketing & Customer service techniques, flexibility, fused with experience, expertise, exposure to intricacies. 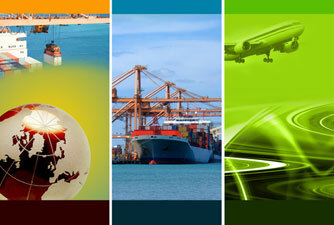 Our business credo is to supply our clients with a personalized service of the highest standard. The philosophy of having the best & delivering the best of the services is ably managed by its team of highly experienced personnel due to sheer exposure and expertise. The expanding business areas of LCL Consolidations, MCC & PROJECT CARGO is a direct result of professional management and a committed experienced staff. Our People are Our Greatest Asset. We are professionals. Our comprehensive International Network is backed by our knowledgeable & experience Transport & Logistics Specialists who are expertise in the International market place. Our people are dedicated to work around the clock to ensure all our clients & worldwide Agents, that they receive a world class service with us and their shipments are well looked after and monitored closely until delivered with care. BENCHMARK’s Transportation Specialist can assist you with any related freight transportation or Logistics solutions at anywhere, anytime and required Logistics & Transport consultancy services when required.